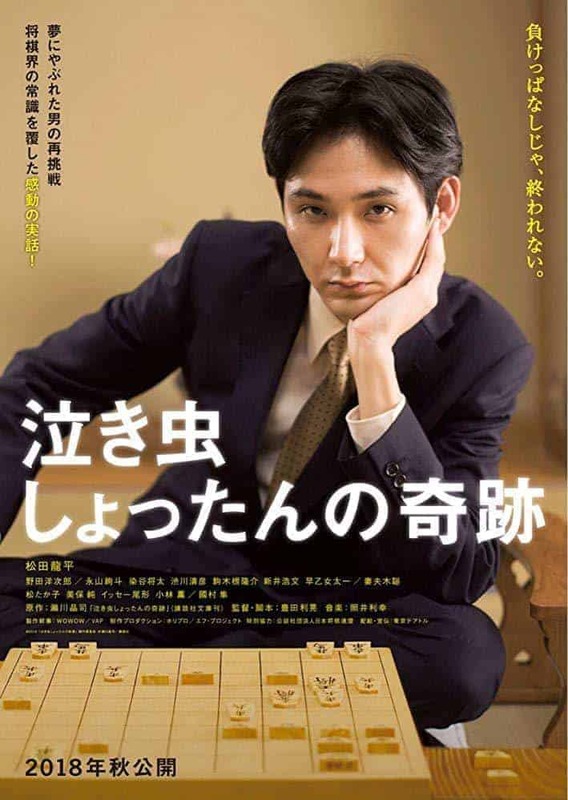 Trailer for Upcoming Japanese film "Nakimushi Shottan no Kiseki"
Japanese director Toshiaki Toyoda (“Blue Spring”, “9 Souls“, “Pornostar“) is set to release his adaptation of the autobiographical novel by Shogi prodigy, Shoji Segawa. After the film “Hanging Garden”, this will be Toyoda’s second film adaptation from a notable work of literature. The film stars Ryuhei Matsuda (“The Foreign Duck…”, “Taboo” “The Great Passage”) who has held a lead role in several of Toyoda’s previous productions. A trailer under the working title of “Nakimushi Shottan no Kiseki” has been released. Interview with Toshiaki Toyoda: I can not fit into societal norms and am a misfit myself.